LONDON, 11 September 2018 – Boyden, today announced it has named Francesca d’Arcangeli, a Managing Partner of Boyden United Kingdom, as its new Global Industrial Practice Leader. Ms. d’Arcangeli succeeds Robert Travis, a Managing Partner in the U.S. and Canada who was re-elected to Boyden’s Global Board in May. Comprised of some 90 senior partners worldwide, Boyden’s Industrial Practice is focused on areas of expertise within broad groups including natural resources, the built environment, industrial services, manufacturing and automotive. 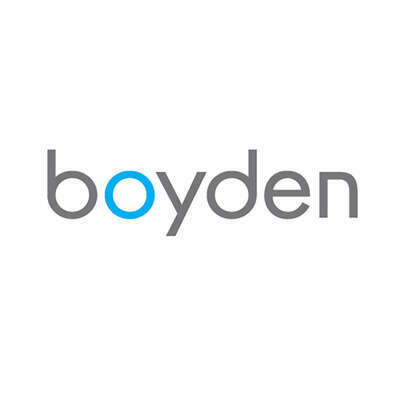 Boyden continues to demonstrate the depth of its insight through published thought leadership, and earlier this year released an Automotive Survey featuring senior executive views on the sector’s readiness and the effects of technological disruption. d’Arcangeli brings 25 years’ leadership experience, including 15 years in consulting and nearly a decade in executive search across Europe and the Middle East. She possesses a strong track record in multi-territory and international searches for senior cross-functional roles, including non-executive and executive board members and operational leaders in industrial, petrochemicals and FMCG. She also has extensive expertise working with multinational companies to drive growth through strategic leadership consulting and organisational development. In May, for the second consecutive year, Boyden was ranked in the top 10 on Forbes’ Best Recruiting Firms for 2018, the second year the list has been published.